As a brand, Mitsubishi HDTVs are reviewed favorably among consumers. Mitsubishi makes two types of HDTVs: DLP and LCD. Consumers consider the Mitsubishi DLP Rear Production TV of all sizes to be a good value for the money. When compared to ratings for Mitsubishi LCD sets, the DLPs are rated much better by those who own the sets. Many of the Mitsubishi DLP models are 3D ready. Mitsubishi also sells a 3D adapter kit to convert several DLP models to 3D with very little effort. On many Mitsubishi TVs, the Immersive Sound technology is included to provide a rich, lifelike surround sound atmosphere when viewing movies on the sets. Many Mitsubishi TVs are also Ethernet-ready, and many include WiFi capabilities to access streaming media over a home network. Those that do not include built in WiFi may support the add-on AzureWave AW-NU23 USB WiFi component. Searching for a specific Mitsubishi TV review? Consumers indicate that the Mitsubishi DLP HDTV models are a great value for the cost. Packed with high-tech enhancements, these rear projection TVs have an clear, crisp picture and lifelike sound. Mitsubishi DLP TVs feature the Mitsubishi proprietary Plush 1080p 5G 12-bit video processor to display rich, dark blacks and realistic colors. The picture quality on the DLP models is best when viewing the screen from directly in front of the set. Mitsubishi LCD TVs, on the other hand, are not as favorably rated as the DLP models. Many of the LCD models are reviewed as middle-of-the road, receiving fives or sixes on many scales of one to ten. As a brand of electronics, Mitsubishi is recognized and respected. The company’s TV reputation is no different. Quality of the product of Mitsubishi TVs is reportedly very good. The set enclosures have a sleek, modern appearance and add to the atmosphere of the room. DLP models received ratings of the highest quality, while the LCD models’ ratings were not quite as high. Reviewers note that some of the detail is lost in the picture of the LCD models because the darks and blacks are so dark on the sets. In addition, many of the LCD models are not Energy Star certified models. 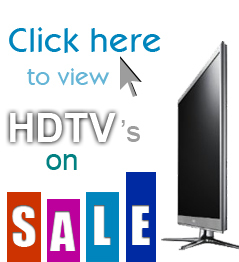 Most all reviews of the Mitsubishi brand of HDTV rate Mitsubishi as being a great value for the price. These ratings include both DLP and LCD models. Mitsubishi TVs, though not value-priced as other brands, are moderately priced for the quality of the picture and appearance of the sets. Though Mitsubishi HDTVs get good reviews for their products in terms of quality and price, the company’s customer service is a topic of contention for many consumers. Many customer reviews indicate that they received mediocre to poor customer service when they attempted to get assistance with a product issue. Consumers report rude treatment, lack of resolution, problems with communication and many other issues with Mitsubishi customer service representatives. In addition, consumer reviews report that when there are known issues with Mitsubishi products, the company does not recall the item. Customer service is an important part of the rating process and should be a major focus for companies who sell products to the general public. Mitsubishi HDTVs rate an Overall Quality rating of 3.5 out of 5 possible stars. This rating is mainly due to the lacking quality of the LCD models and the reputation of Mitsubishi for demonstrating poor customer service and resistance to recall models with known issues. However, the Mitsubishi name in electronics is still a strong brand, and the customers who have purchased many models of their HDTVs are happy with their products. When considering a purchase of a DLP rear-projection set, Mitsubishi sets feature high-quality components and a lot of extras. From 3D capabilities on many DLP models, to the look of the cabinet, there are many consumers who love their Mitsubishi sets.